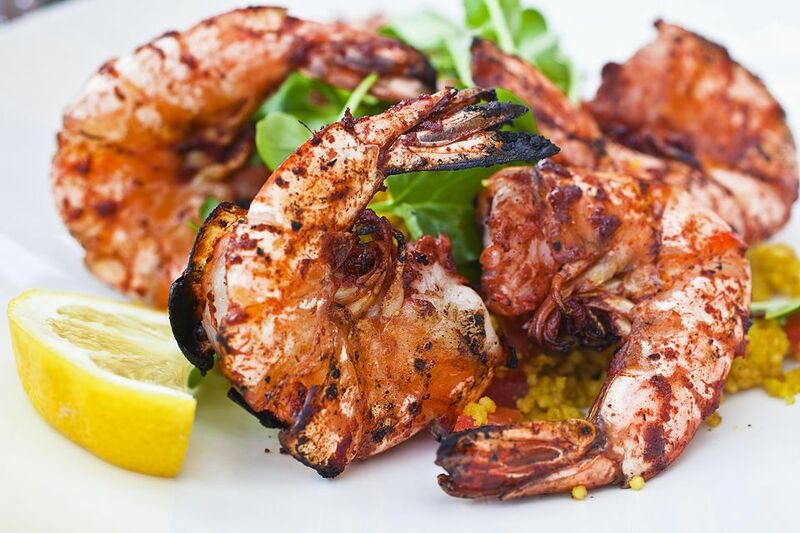 These jumbo shrimp get a quick marinade in a traditional Indian mixture of spices and yogurt. The yogurt holds the seasonings in place and cooks down to a thin crust as the shrimp cooks. Rinse and set aside on paper towels to dry. Combine remaining ingredients. Mix well. Place shrimp in resealable plastic bag and pour yogurt mixture into bag making sure all shrimp are well coated. Seal bag and place in refrigerator for one hour. Place shrimp on hot grill and immediately brush with marinade. Grill for about 2 to 3 minutes per side or until done. Shrimp is done when the color has changed from a glossy gray color to a pink color. Shrimp should take on a pink hue. Remove from grill and serve with sliced lemons or limes.